Why Prescription Drugs Cost So Much – David M. Kulawiak, Inc. In 2015, Martin Shkreli, chief executive officer of Turing Pharmaceuticals, was asked to explain why his company raised the cost of Daraprim by 5,556 percent from $18 a pill to $750. The drug, used to treat AIDS, was not a new medication. Shkreli explained he raised the price of Daraprim so researchers would have incentive to develop new drugs for the disease. The public was outraged and Turing was pressured to lower costs, which they did by 50 percent…but only for hospitals. And while the increase for Daraprimby was extreme, the cost of specialty drugs overall did increase by as much as 30 percent in 2014. In addition, the Consumer Reports Health Rating Center says that the price for drugs that are within five years of coming off a patent rises 88 percent before they lose their exclusivity. Nationally, employers’ pharmacy costs also are being affected, rising about 9.5 percent in 2015 and expected to climb 10 percent this year, according to Aon Hewitt, a benefits consultant. The firm expects employers’ other medical costs to rise far less, at 4.5 percent in 2015 and 5 percent in 2016. The result of these escalating prices is that many patients can’t afford the medications and the healthcare they need. There is plenty of finger pointing as to where the blame lies for soaring drug prices. Here are some of the theories. The Affordable Care Act’s (ACA) rules and regulations are focused on reining in the insurance industry. Insurers now have to cover a wider array of benefits and are prohibited from denying coverage based on preexisting conditions. The ACA also instituted new rules for insurers, including how premiums are set, how benefit plans are designed, a tiered system of cost-sharing and caps on insurance company profits. The new law extended drug coverage, making prescription drugs one of 10 “essential benefits” that insurers must cover — insurers were not required to cover prescription drugs prior to the ACA. It also closed the coverage gap in Medicare Part D plans, requiring drug companies to offer seniors a discount on their drugs. Insurers had to adapt and find new ways to be profitable, such as shifting some costs to consumers via increased drug costs. For instance, 46 percent of plans on exchanges now combine medical and pharmaceutical deductibles, while only 12 percent of employer plans do so, according to a Milliman analysis. While the pharmaceutical industry was required to pay for some of the law’s increased drug coverage, it was mostly left unregulated. As a result drug companies can set their own prices, with no restrictions on profit margins and little pricing transparency. This created an added cost for insurers, while allowing pharmaceutical companies to expand their market for new drugs. Long patent lengths also allow drug companies to capitalize on lack of competition by raising prices unchecked. Fortunately, there are steps that consumers, employers and government payers can take to rein in drug costs. Ask your doctor whether a generic drug is a viable option instead of a brand name drug. According to ClearPoint Credit Counseling Solutions, generic medications can cost up to 90 percent less. It helps that three-quarters of medications are available as a generic. If a generic drug isn’t available, ask your doctor if there is a lower cost brand-name that will work. Check into discount generic drug programs offered by retailers such as Wal-Mart, Target, CVS and Walgreens. These retailers offer discount generic drug programs for as little as $4 a month or $10 for a 90-day supply. Ask your doctor or pharmacist to review all of your medications at least every six months. This can eliminate duplicate or unnecessary drugs or adjust dosages that are higher than necessary. You may be able to split a tablet if you need a lower dose, but are only able to purchase a higher dose. Check with your doctor to see if this would be a safe option. To make the practice safe, only divide tablets, not time-release pills, and use a pill-splitting device. It can pay to compare drug costs between drug stores or online pharmacies. To make sure you’re getting the best quality medications, stick with pharmacies that carry the VIPPS (Verified Internet Pharmacy Practice Site) seal, which is awarded by the National Association of Boards of Pharmacy. You may be able to save up to 40 percent by purchasing a 90-day supply. However, to ensure the medicine doesn’t expire before you’ve taken it all, don’t buy more than a 90-day supply. Free samples from your doctor are not always a good deal if the drug is an expensive brand name that you will need to take — and purchase — regularly. Be wary of TV ads, that promote the newest drugs. They are often are more expensive and not necessarily better than older versions. The right drug plan can save you a lot of money, so be sure you choose the insurance that is best for you. If your employer chooses your coverage, then make sure you read and understand what your coverage entails. When the option is available, purchase your prescriptions through mail order to save money. Pharmaceutical companies offer free or low-cost medication through their patient assistance programs. Compare potential insurance plans to find the one that has the lowest out-of-pocket prescription costs for your employees. 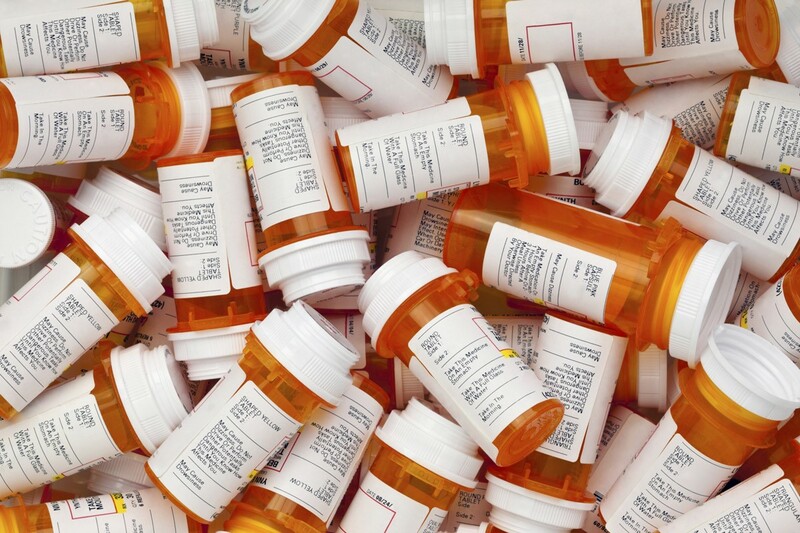 Encourage employees to use generic drugs, which could result in a savings to your company. Encourage employees to use mail order — a less expensive option than buying them from the neighborhood drugstore. Consider requiring doctors to obtain prior authorization from health-plan administrators for certain costly drugs, such as anti-inflammatory drugs for rheumatoid arthritis. Institute a “step therapy” strategy, which requires doctors to treat employees with lower-cost drugs before the health plan will pay for more expensive drugs. There is increased interest in changing the law to allow Medicare, the largest purchaser of health care services in the country, to negotiate prices with pharmaceutical companies. Shorter patents would allow new generic medications to be developed sooner, offering consumers more options and bringing down costs through competition. The government could make it easier for consumers to purchase prescription drugs in other countries. In addition to consumers having access to lower cost medications, the increased competition could encourage American companies to lower their prices. • More transparency about the costs and prices of all pharmaceutical products would help reduce prices. If you don’t know what a drug should cost, it’s difficult to know if you’re overpaying.